Draft: 2004, New York Mets, 1st rd. 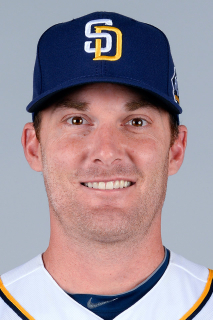 April 1, 2016 San Diego Padres released RHP Philip Humber. December 16, 2015 RHP Philip Humber assigned to El Paso Chihuahuas. November 28, 2015 San Diego Padres signed free agent RHP Philip Humber to a minor league contract and invited him to spring training. October 19, 2015 RHP Philip Humber assigned to Gigantes del Cibao. October 29, 2013 Oakland Athletics signed free agent RHP Philip Humber to a minor league contract and invited him to spring training. October 29, 2013 Philip Humber assigned to Sacramento River Cats. October 4, 2013 RHP Philip Humber elected free agency. October 2, 2013 Houston Astros sent RHP Philip Humber outright to Oklahoma City RedHawks. August 13, 2013 Houston Astros selected the contract of Philip Humber from Oklahoma City RedHawks. May 14, 2013 Houston Astros sent Philip Humber outright to Oklahoma City RedHawks. May 12, 2013 Houston Astros designated Philip Humber for assignment. November 30, 2012 Houston Astros claimed RHP Philip Humber off waivers from Chicago White Sox. July 17, 2012 Philip Humber roster status changed by Chicago White Sox. July 11, 2012 Charlotte Knights sent RHP Philip Humber on a rehab assignment to Birmingham Barons. July 1, 2012 Philip Humber assigned to Charlotte Knights. June 22, 2012 Chicago White Sox placed RHP Philip Humber on the 15-day disabled list retroactive to June 17, 2012. Right elbow strain. September 3, 2011 Chicago White Sox activated RHP Philip Humber from the 15-day disabled list. August 30, 2011 sent RHP Philip Humber on a rehab assignment to Charlotte Knights. August 19, 2011 Chicago White Sox placed RHP Philip Humber on the 15-day disabled list. Facial contusion. January 18, 2011 Chicago White Sox claimed RHP Philip Humber off waivers from Oakland Athletics. January 8, 2011 Oakland Athletics designated Philip Humber for assignment. December 17, 2010 Oakland Athletics claimed RHP Philip Humber off waivers from Kansas City Royals. December 15, 2010 Kansas City Royals designated Philip Humber for assignment. August 5, 2010 Kansas City Royals selected the contract of RHP Philip Humber from Omaha Royals. May 3, 2010 Philip Humber roster status changed by Omaha Royals. April 29, 2010 Omaha Royals placed RHP Philip Humber on the 7-day disabled list retroactive to April 25, 2010. April 5, 2010 RHP Philip Humber assigned to Omaha Royals. December 15, 2009 Kansas City Royals signed free agent RHP Philip Humber to a minor league contract and invited him to spring training. November 11, 2009 RHP Philip Humber assigned to Leones de Ponce. October 6, 2009 RHP Philip Humber elected free agency. September 5, 2009 Rochester Red Wings activated RHP Philip Humber. August 28, 2009 Minnesota Twins sent RHP Philip Humber outright to Rochester Red Wings. August 18, 2009 Minnesota Twins selected the contract of Philip Humber from Rochester Red Wings. April 22, 2009 Minnesota Twins sent Philip Humber outright to Rochester Red Wings. April 17, 2009 Minnesota Twins designated RHP Philip Humber for assignment.